What are the early symptoms of ischemic heart disease? Typical symptoms are effort intolerance either due to fatigue, breathlessness, or discomfort in the chest. The discomfort in the chest can be described as burning, tightness, pressure, aching or constriction, although many other descriptors have been associated with it. The chest discomfort may be localized in the area beneath the sternum or other locations in the chest or back, although it can be manifest in the jaw, neck, between the shoulder blades, arms, and even upper abdomen. Some patients will notice an irregularity in the pulse or sensation of the heart beating with an irregular pattern or occasional stronger heart beats. Patients often have sweating and nausea, particularly when the symptoms are severe. When the symptoms are provoked with activity, exertion, or emotional stress and relieved by rest or removal of the emotional trigger, this is often related to a severe blockage in a coronary artery, with or without the vessel constriction to reduce blood supply to the heart. The variation of symptoms is myriad, and it is notoriously difficult to make an early diagnosis of ischemic heart disease in women based on symptoms alone, and women should seek evaluation early if they notice a change in how they feel. Really, depression, anxiety, pronounced fatigue, etc should prompt an evaluation with a knowledgeable preventive health care provider. When the symptoms are severe and lasting more than a few minutes at rest, a complete blockage of the coronary artery resulting in cessation of flow to the heart muscle results in a heart attack. Finally, the first symptom of “ischemic heart disease” can be “sudden death”, even in those who have just had a “normal stress test”. It is my opinion that the dramatic sudden death is “the only first symptom that has been recognized” by the patient and or their physician! Early steps for prevention through the guidance of an experienced practitioner is best. And keep in mind, that for the majority of “mainstream” practitioners prevention is merely earlier diagnosis. Once the disease has occurred it is too late for prevention! I address the biological individuality of each patient and prescribe the preventive pathway by identifying problems from a complete history, physical exam, and study of patients’ “bio-markers” before the disease has progressed to a clinical event. Once disease is present and a clinical event occurs, we have “secondary prevention”. That is in mainstream medicine trying to prevent another attack from occurring. It’s too late to “prevent” the disease. My approach is to understand the pathophysiology involved not only to prevent another clinical event, but also to try to reverse the process. This is usually too time consuming and complex for mainstream doctors who don’t have the time in a 15 minute office visit. I understand their situation having been there myself! 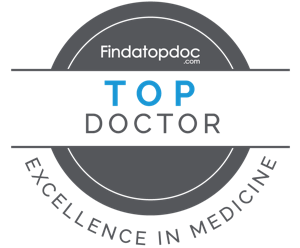 My approach is now different, a holistic view of the problem, more satisfying professionally, and better for the patient.